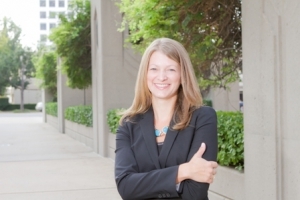 Sara Barry brings over thirteen years of legal experience to GableGotwals. She has assisted clients with mergers and acquisitions, corporate formations and reorganizations, initial public offerings, Hart-Scott-Rodino Anti-Trust report forms, real estate transactions and estate planning. Her areas of focus include Corporate and Business Organizations, Commercial Law, Mergers and Acquisitions, Securities and Corporate Finance, Trusts and Estates, Employee Benefits, Real Estate and Banking and Financial Regulation. Sara previously worked at GableGotwals from February 2000 through November 2008 before joining McJunkin Red Man Corporation, where Sara served as senior counsel.